This informational flyer is a great way to create awareness about Speak Up. The flyer explains the background of the project and shares the views from some participating districts. 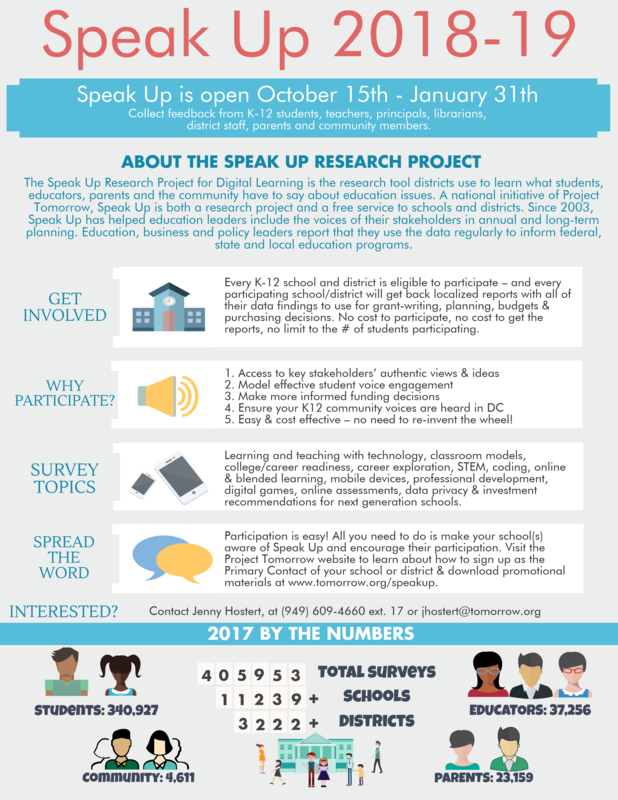 We recommend using this flyer as a way to introduce Speak Up to your district or school administrators.